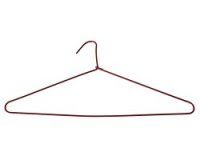 It is proposed to systematically destroy all wire coat hangers. Shirts slip off them. People hang them on door handles. They bend when you hang jeans on them. They flick off rails. They join together in pairs. They gaggle in dodgy, tinny, wiry orgies, tingling nastily. They have a static sneer. Have you ever actually seen anybody buy them? Who even sells them? Do they just appear in your wardrobes? They seem to have a near endless domestic omnipresence. Not only a waste of wire, but a waste of time. How often have you had to re-hang things on them? Or perhaps Re-iron shirts after being bent ruthlessly shapeless thereon? Then they spin of the rail and onto the floor. You kick them and then get wrapped around your foot, or sibling. And then if you can find a bin that will fit such a stupidly angular object, the sadistic little sharp corner on the hook rips the bag and there it is again, escaped. What a malicious little sod. Let's face it, the only use for metal coat hangers is to unravel them and make them into something else. Therefore, it is proposed that all wire coat hangers should be systematically hung, drawn and unravelled, under the 1936 Public Order Act. That was so intense it was exhausting. I thought I might be the only one who felt that way, but my fears were allayed when ITV’s Tom Bradby popped up afterwards looking like he’d just swallowed some anti-depressants. Everyone thought Clegg was in a strong position before hand – but I’ve got to say I didn’t think he’d win by as much as he did. In the end it was 43% Clegg, 26% Cameron and 20% Brown. One thing that perpetuated it was Brown’s well thought out strategy of directing heavy fire at Cameron, while allying himself with Clegg. 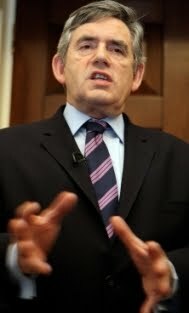 I lost count of the number of times Brown said he agreed with the Lib Dem leader. 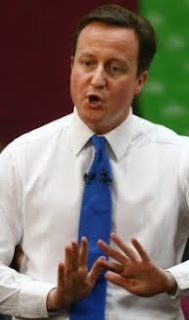 Meanwhile Cameron must have taken a conscious decision not to go on the offensive like he does in the Commons. His advisors know that when he appears snide voters don’t like it, so he avoided those cutting, articulate attacks which his backbenchers cheer. The thing is, it meant Clegg gained the support of Brown, which made him look more “right”, while avoiding heavy attacks. In fairness he also performed well, making original and clear points – on class sizes in the education section of the debate for example. He was also the first to get into his stride breaking free of the rigid opening speech section almost immediately. Because of relative expectations some people are calling the score line a win for Clegg, a draw for Brown and a loss for Cameron. But keep some things in mind – firstly that while this was exciting and captivating, we are not even half way through the debates yet. Secondly is that while Nick Clegg has a big lead, he also has a huge obstacle to get over in being the third party. People know that voting on TV has no consequences. That is not the case at the ballot box. When it comes to the real thing many will still be of the mindset that they should vote for Labour or the Tories if it is a close race. Thirdly, the crucial question here is the one on the economy, on which Cameron equalled Clegg on 36% to Brown’s 28%. On immigration Cameron won outright. 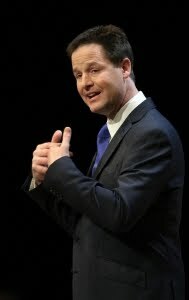 I think Clegg will continue to do well. If Brown is serious about winning the election he has to come at least second in these debates. Cameron has to decide whether it is too big a risk to cut lose his inhibitions and go on the offensive – it could make or break him. 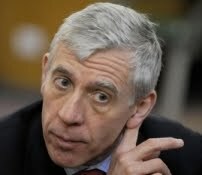 There was a comedy moment on BBC Radio Leicester last night when Jack Straw was being interviewed. The Justice Secretary was praising Labour’s candidates in the county’s two most marginal seats including North West Leicestershire. To get the ball rolling Straw got the name of the constituency wrong – obviously didn’t have enough time to read the briefing in the car on the way up. 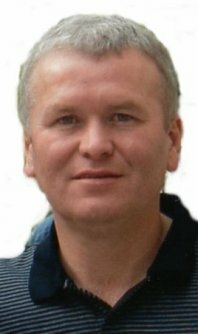 “Our candidate in Leicester North West was the leader of Leicester City Council. He’s very well known it’s quite remarkable. Obviously not well enough to know his name – which is Ross. Doh. Skip to 14mins to hear the gaffe here. So Chris Leslie has been selected as the Labour candidate for Nottingham East – an event about as surprising as a boiled potato. The news came out this afternoon, but as ever I promise to bring something new to the table. As Jim P at the FT correctly suggests this selection will be seen as an incident of parachuting. There was of course an attempt to pay lip service to the local party by including three local candidates on a shortlist of nine. Each of the nine were then given interviews by the “special selection panel”. 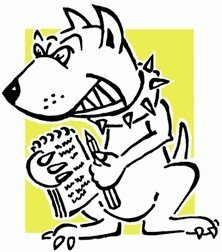 BUT, Lobbydog hears that the candidates were given five minutes each to make a mini-presentation and were then questioned for ten – 15 minutes each in total. Given that the incumbent John Heppell has been in the seat for 18 years, as may his predecessor be, it seems an awfully short amount of time. “But it’s so close to the election, we needed to do things quickly,” cry the Labour powers that be. If that was the case then why didn’t they let the local party organise a hustings and selection on Monday, as they suggested doing, to finish the job two days earlier. 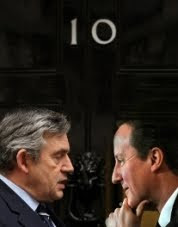 The reason is, of course, that the upper echelons of Labour wanted their man and got him. It does not sound like there is an appetite for the local party to put up an independent in protest though, as has happened in Stoke Central. 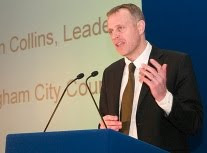 That may be because the leading local candidate, Nottingham City Council Leader Jon Collins, is not everyone’s favourite bunny. Collins apparently wanted the seat badly and had gone the extra mile in terms of lobbying for it. But word has it that the unions effectively vetoed him from getting the seat during a meeting in Downing Street, because they had a vendetta to settle over a spat in Nottingham. Never mind Jon – only another 18 years to wait. I’m sure the unions will have got over it by then. Standing outside the small bungalow on the outskirts of a Stoke on Trent housing estate your humble blogger was becoming more and more frustrated. I had knocked on the door and the window several times but no one had answered, yet I knew there was someone in there – I could hear voices and even laughter. I wouldn’t normally keep bothering people if I thought they didn’t want to answer. But the owner of the property, a BNP politician, had not installed a door bell and I couldn’t be sure he had heard me knock. But he had. 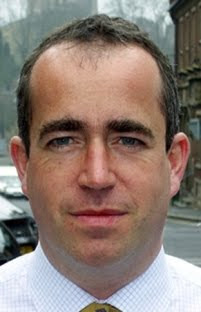 A seething Councillor Anthony Simmonds pulled open the door dressed only a very diminutive pair of blue briefs. I could now. 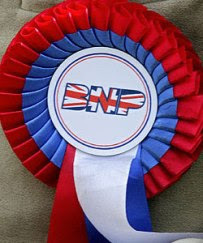 I knew meeting the BNP would be revealing, but not this revealing. Oddly enough Labour and the BNP have a common problem in Stoke Central. Both parties’ candidates are facing challenges from former members who became disgruntled with the leadership. Former BNP city councillor Alby Walker is standing against the BNP’s Deputy Leader Simon Darby (see post below). Meanwhile the former chair of Stoke Central Constituency Labour Party is standing as an independent after quitting in protest at the “fix” which saw TV historian Tristram Hunt take the candidacy. 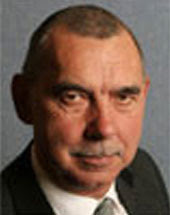 Gary Elsby (above) said quitting Labour and standing against it after decades of membership was a hugely difficult decision. He said it was one he felt bound to take when he saw the lives of people in Stoke become pawns in the chess game being played between various figures at the top of the party. 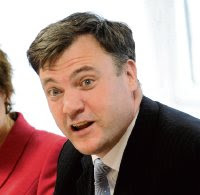 He believes Stoke Central was given to the Blairite faction of the party in return for other safe seats being handed to Balls’ union boys and Harman’s all women shortlist brigade. But it was really only the final straw by the sounds of it. Elsby said that Stoke residents had been paying taxes but for years had been given little in return compared to other places. “We are only just starting to get regeneration here. We’re only just getting Building Schools for the Future going. If I’m honest we haven’t really achieved anything here in the last five years,” he said. If the chair of the constituency party felt that way, I wonder how many other Labour people in the city do too. Yesterday BNP Deputy Leader Simon Darby was talking to Lobbydog about unemployment in Stoke on Trent. Darby, standing in Stoke Central, said young people today couldn’t get jobs so easily because of the competition from immigrants. The BNP’s policies – freezing immigration, sending illegal immigrants home and pulling out of the EU – would, he claimed, create opportunities. That line may appeal to some, I replied, but what about ‘those’ communities that were legally here already – how would he deal with them? Darby moved the conversation specifically to Muslim communities and the issue of “power breeding”. “There is a problem with the Islamic community. They are power breeding,” he said. But how, I asked, do you ‘address’ such a problem? “First it needs to be discussed. We have to have a chat with the Islamic Community and say we know what you are up to and it’s got to stop,” he replied. LD’s contacts are good, but I admit even I do not have a number for ‘the Islamic community’. “In the same way that the tax and benefits system encourage this, people having more and more kids, it could be used inversely to turn it round. So the tax and benefits system could effectively be used to penalise those Islamic families that have ‘too many’ kids. The BNP also has a housing policy of giving priority to the children of ‘local’ people who already live on an estate when handing out social housing. On its own the housing policy sounds reasonably innocent, it is sold as a scheme to keep families together. But added to the anti-power breeding policy a more daunting picture emerges. After all if Islamic couples cannot have many kids, and if council houses go to the kids of those already living in council houses, then wont the effect be to slowly ‘de-islamify’ council estates – isn’t that ethnic cleansing?